Фотобанк Rusmediabank – лицензионные Фото, Видео, Музыка - Black silhouette of rose. Vector illustration. Black silhouette of rose. Vector illustration. 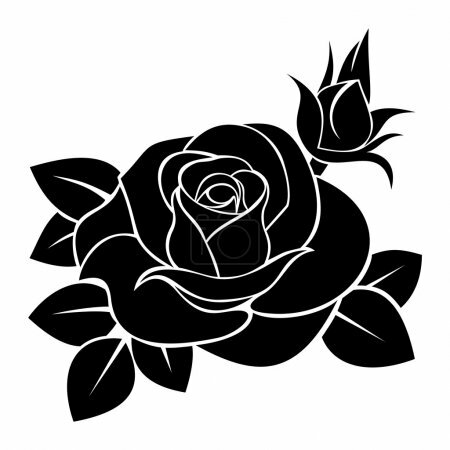 Vector illustration of black silhouette of rose with rosebud and leaves on a white background.